Nationalist candidate Gail Ross has won a council seat in Wick, which is in a constituency that has been held by the Lib Dems since 1999. An SNP victory in a Highland Council by-election has been called a “major breakthrough” by Alex Salmond. Gail Ross, the Nationalists’ candidate for the Wick ward, won a seat on the council with 1049 votes, over twice as many as second-placed Neil MacDonald of Scottish Labour. Claire Clark of the Scottish Liberal Democrats came fourth with 236 votes. Wick is in the Scottish Parliament constituency of Caithness, Sutherland and Ross, which has been held by the Liberal Democrats since devolution in 1999. However, the SNP would need only a 4.3% swing in May’s polls to land the seat. 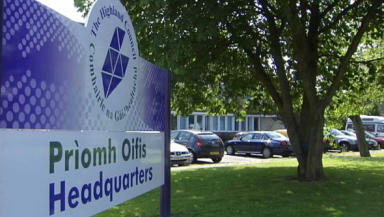 Mr Salmond said: “This is a fantastic result on the eve of the Scottish Parliament election. Gail was a superb candidate and will make a first-class councillor for Wick. Her commitment and positive vision for her home town encapsulates everything the SNP stand for. "This is a major SNP breakthrough in a Lib Dem constituency - and a disaster for the Lib Dems. It follows the personal endorsement of John Farquhar Munro, the big momentum of the SNP's campaign locally and nationally, and the struggling campaigns of our opponents. “To achieve such big swings against all the London-led parties is hugely encouraging – particularly in what has been a Lib Dem heartland. We are taking nothing for granted but this result will be a real morale boost not only in the north of Scotland but across the whole country." Councillor Ross said: “Wick is my home, and I'm looking forward to giving something back to the town that have me so much. “I have enjoyed a constructive campaign; however let this be a message from the far north to the rest of Scotland that the politics of fear and scaremongering do not wash with the public.